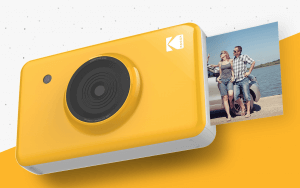 Kodak announced the availability of the new Kodak Mini Shot Instant Print Camera through its North American distributor C+A Global. Expanding upon its instant print product line, the new Kodak Mini Shot point-and-shoot camera combines high-quality, instant-print color photos with digital conveniences such as color controls, filter effects and Bluetooth connectivity, making it the ideal all-in-one solution for picture taking and photo editing. Not only can these photographs be instantly shared with family and friends in that same high print quality expected from Kodak, these photographs can likewise be digitally shared instantly across social media platforms. The Kodak Mini Shot Instant Print Camera leverages 4Pass printing technology, also known as dye-sublimation, resulting in beautiful, high-quality prints. It features the world’s smallest 4Pass all-in-one cartridge for carrying convenience. With Bluetooth connectivity, users can save and transfer images to a smart device for further editing with the complementary Kodak Mini Shot App, which features a variety of filters, cropping options, stickers, card templates and more. Through the App, anyone’s smartphone can now be used as a remote shutter for those must-have group shots, or as an extended library of photos that can be sent to the Kodak Mini Shot for instant printing. Available in black, white, or yellow. The Kodak Mini Shot Instant Print Camera is available for $99.99 on Amazon. 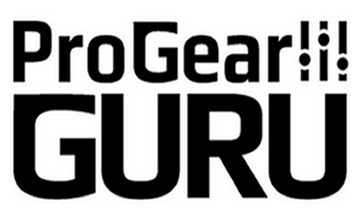 The camera includes a Micro USB cable, a Quick Start Guide, and an 8-pack all-in-one 4Pass photo print cartridge. The 4Pass Photo Paper comes in 20 (2.1” x 3.4”), 30 (2.1” x 3.4”) and 50 (2.1” x 3.4”) packs or as an adhesive-backed 20 (2.1” x 2.1”) pack, and is sold separately.